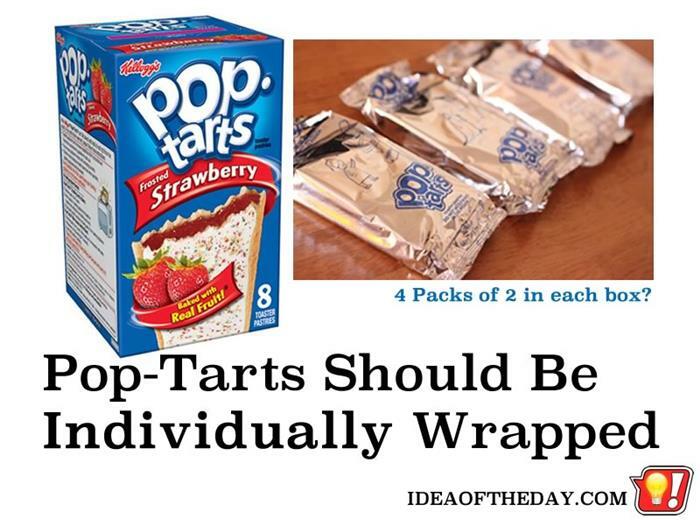 Pop-Tarts Should Be Individually Wrapped! Don't you hate to eat dried out Pop-Tarts? So why don't they wrap them individually? Some of the stuff I post here can get a bit technical, but this is one that needs no explanation. You buy a box of 8 Pop-Tarts, open it up and find only four pouches, with 2 in each package. What if I only want one?